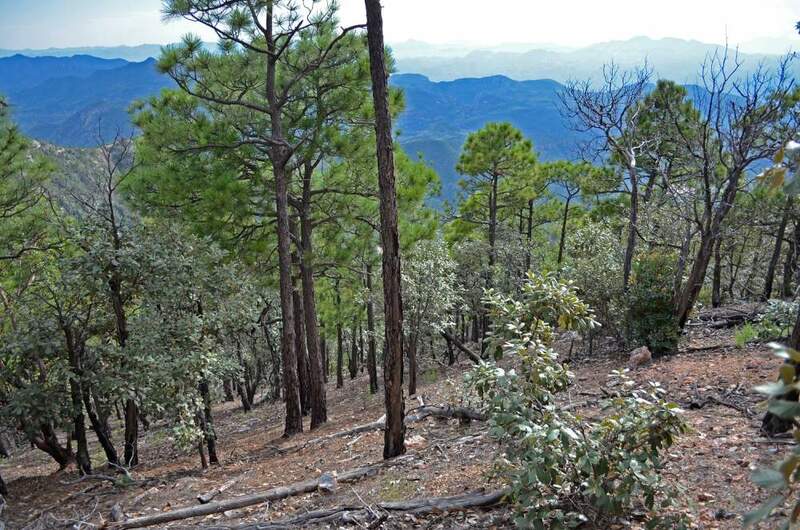 Madrean Pine/Oak Woodland occupies a belt from about 5,000 to 7,000 feet in elevation between oak woodland and below pure pine forest above. Of course Pinus and Quercus species dominate the overstory, while the understory is often sparse. Oak and pine species vary with latitude and other factors, but as one heads south numbers of species increase. 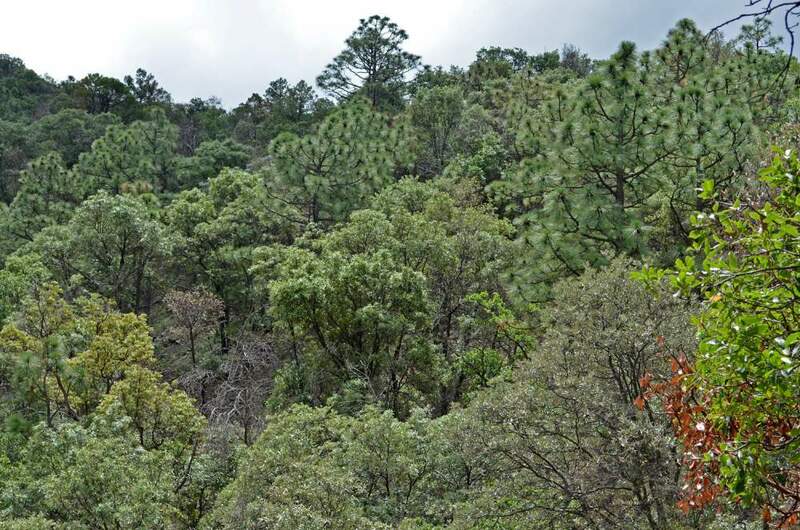 It is primarily a Mexican vegetation community and is featured heavily in the Sierra Madre Occidental northward to the southeastern Arizona's Madrean Sky Islands.